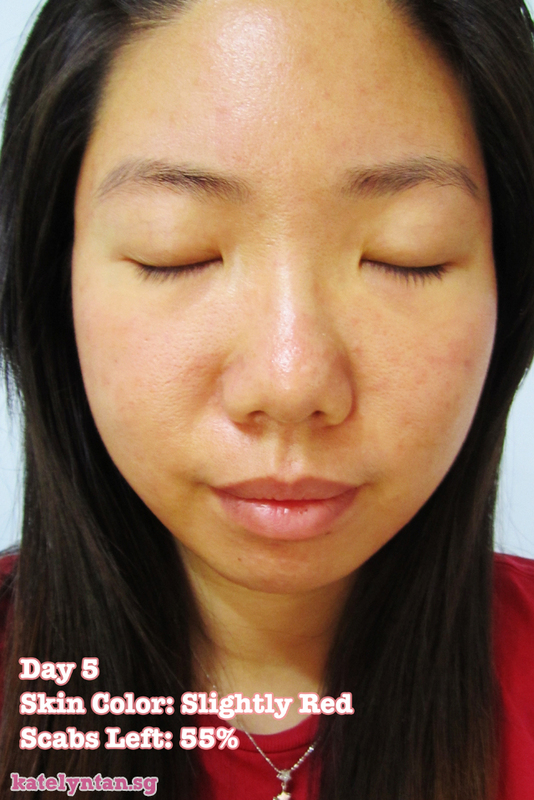 Here is a full review of my Carbon Dioxide (CO2) Fractional Laser in Singapore! I undergone a total of 3 rounds of CO2 fractional lasers with at least a month between each treatment. 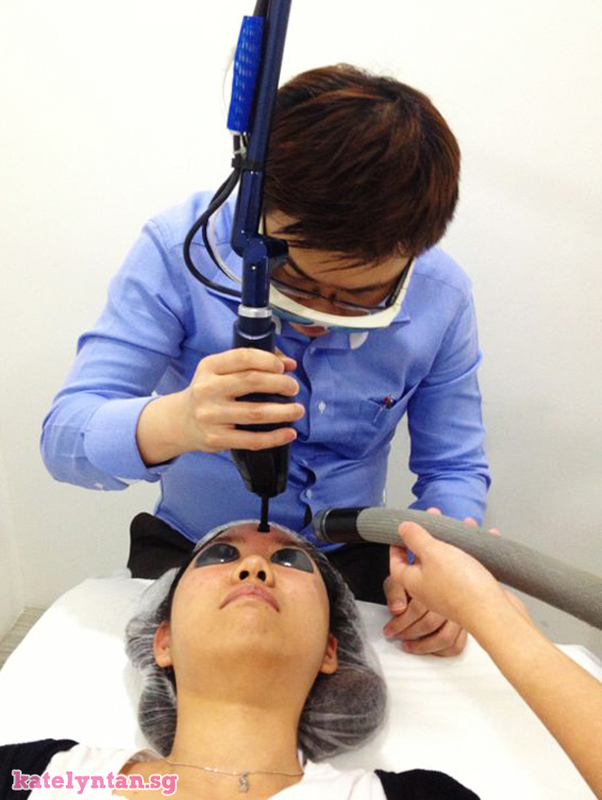 What is CO2 Fractional Laser? I'm no pro at this and info was shared by the doctors. CO2 Fractional Laser is a technology that helps to correct many skin conditions. As the laser "burns" the surface of the patient’s skin, it will create thousands of micro-thermal zones in the treated areas. This helps promote the production of new collagen, resulting in healthier, smoother and younger-looking skin. Will your skin become thinner? I had my numbing cream on for an hour. I have to say, this one hour numbing cream was super super worth it! Cause when I was having the laser treatment, I didn't feel pain at all. It might also be because a lower intensity was used (advised to use a lower intensity to test the skin on a first treatment). After my numbing cream was removed, I was brought to this room to have my laser done! During treatment I didn't feel pain at all due to the numbing cream, so if you are thinking of doing the treatment, do not skip that step! 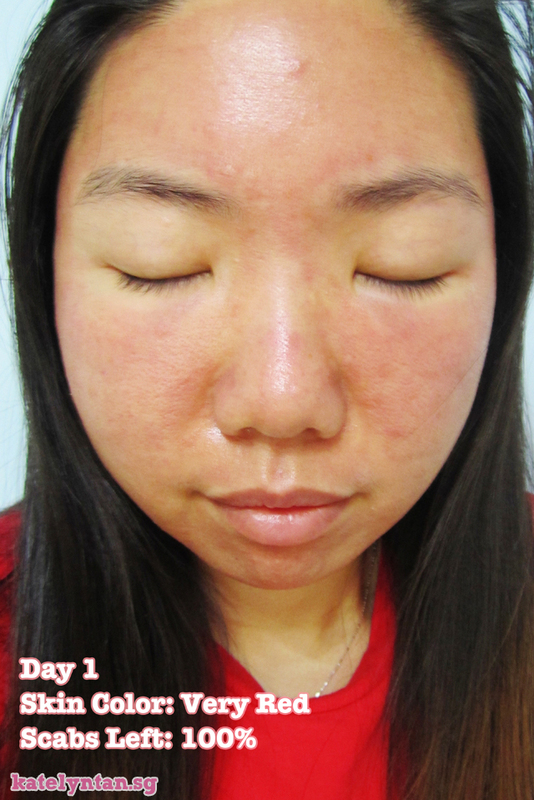 This is how my skin looks like right after the treatment. I can capture all the white dots by taking an upclose shot. After the treatment, I stopped using all skincare for a week and only my prescribed cleanser, oily liquid moisturizer, toner and sunblock. Plus, I had to avoid the sun and carry an umbrella everywhere. 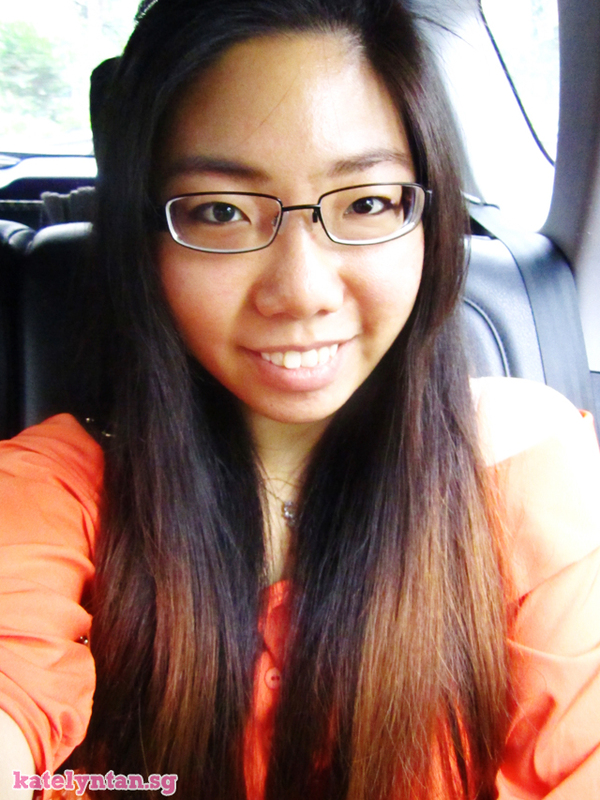 About 15 minutes later, my face was super super red hahas, like lobster. So that day I became lobster vampire - my face was super red and I have to hide from the sun. I was told that the skin will get even redder and it will start to feel warm and have a sunburn feeling. 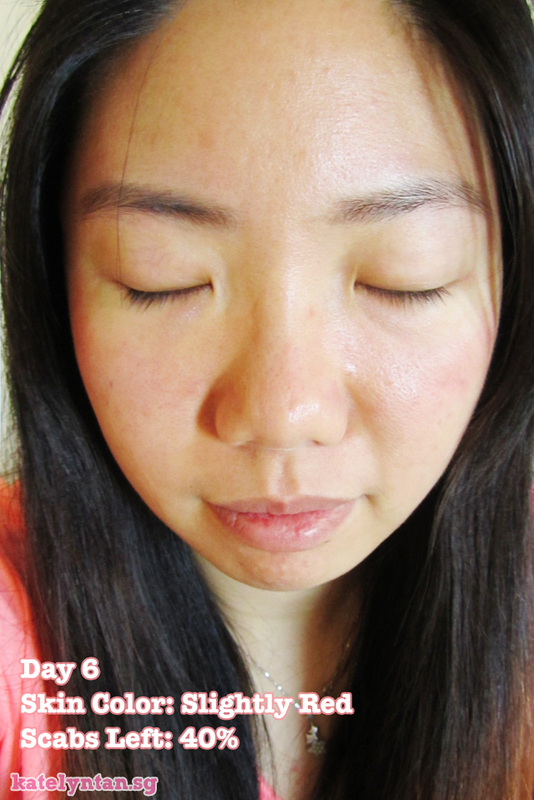 This was how my face looked like when I reached home, it got even redder and really oily. Normally my skin isn't even this oily. 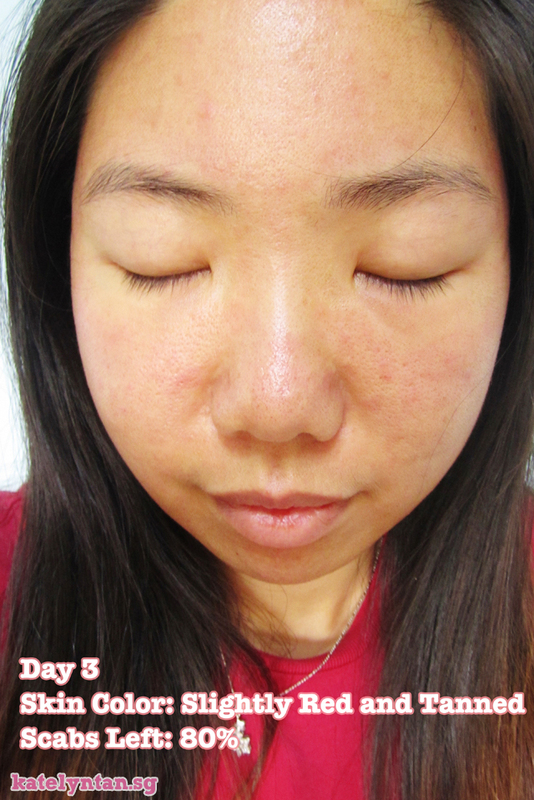 Next day, the redness on my skin was almost gone and I started seeing scabs forming on my skin. Before the whole treatment, I just keep hearing people say how horrible the scabs will look like. But actually it’s not. At least it isn’t for the first treatment. Cause first treatment they can’t use a laser that is super super strong. They will use a lower intensity laser to test your skin’s sensitivity first. So… the after effects wasn’t that horrible. I couldn’t even see the scabs in the photos. I have to look super super close to the mirror then I can see the super super small little scabs. So not to worry, you can still got out and meet people :) Just don’t stay too long under the sun or use a UV protected umbrella if you have to. 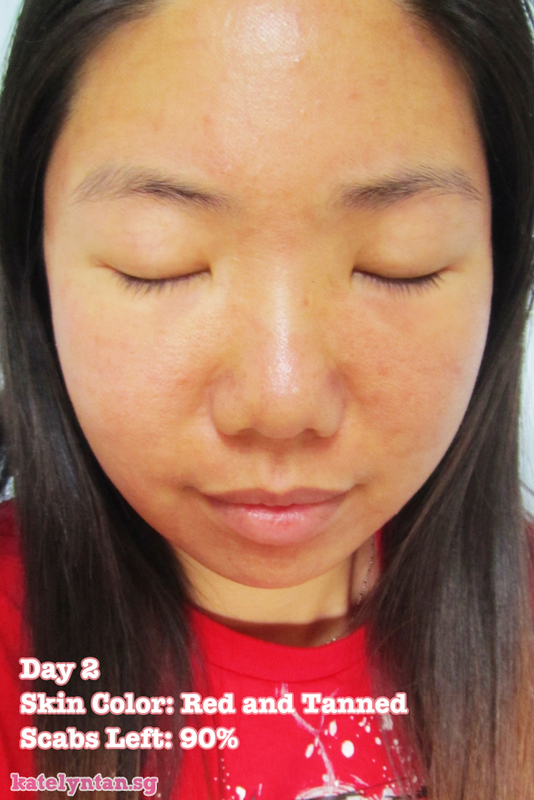 Here's how my skin looks the next 7 days after the laser treatment! Some scabs started falling and there were still some redness on my skin (either due to scabs falling or dry skin). More redness appearing on my skin. Face wasn't itching anymore. 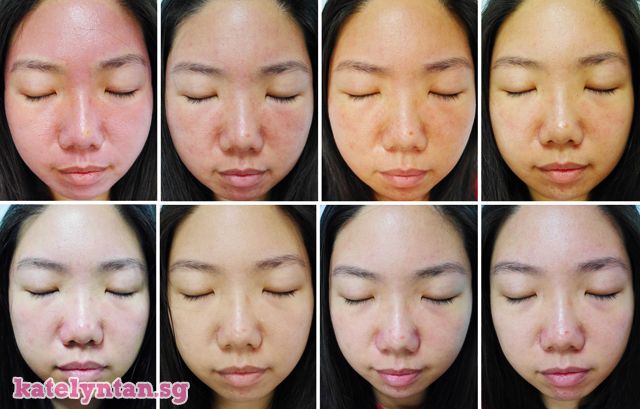 So those redness were due to new skin forming :) Face became alot oilier due to dry skin. A few pimples popped up cause I can't use my usual skincare routine yet. 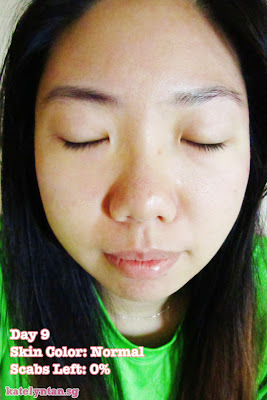 Still the same, more scabs gone :) Some pimples subsided after I applied pimple cream! Face became less oily cause I started using my toner. More scabs were gone, lesser redness but there were still some bumpy spots. Skin started feeling smoother though. Here is the gif file of all the photos taken on all 7 days! Super zoomed up so you can see all the changes. 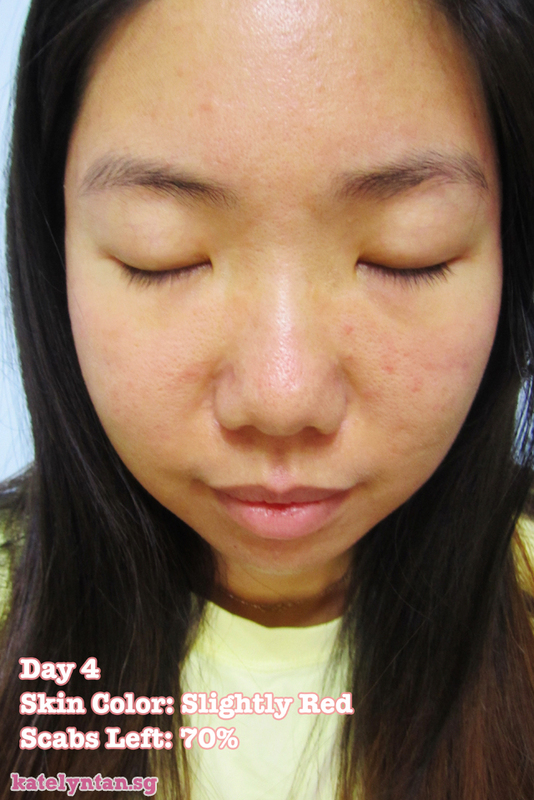 For this 2nd CO2 Laser treatment, the downtime was longer as the laser was of a higher intensity. The treatment was also more painful than the first. But it was still bearable. It was super painful on my cheeks when that area was layered twice. Usually he only laser the whole face once and don't repeat any areas. But this time round he laser my cheeks area twice to attack the pores problem. Also, this time round I encounter swelling :( It lasted from Day 1 to Day 3. The swelling slowly subsides and was fully gone after 3 days. I was told that it might be Edema. But anyways I'm happy that it was gone after 3 days. It wasn't a super horrible swell, not painful at all. My face was super puffed up on Day 1. But it made a significant difference to my face since my mum could tell without me saying. There was more swelling at my cheeks area maybe cause that area was laser twice. 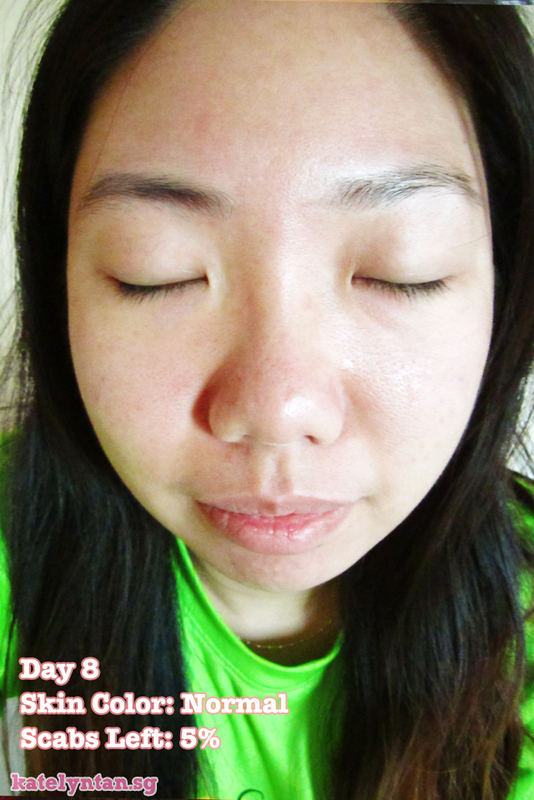 Here's how my skin looks like on Day 12, when I went back to the clinic for a review. Only had eyeliner and my brows drawn. No foundation or powder at all! This time the laser intensity was alot higher. I could feel the pain during the treatment and the nurse was patting me to comfort me. Day 0 to Day 7 after laser treatment! This time the laser marks were alot more obvious. The downtime was similar to the past, maybe my skin got used to it already or my skin can now regenerate faster? The redness and swell lasted longer. I guess it is due to the increased intensity. But I'm okay with it. People just thought that I had sunburn. So oh wells ;) The swelling can be a lil irritating though cause the face is all puffed up hahahas. Btw, that dot on my nose is not a pimple. It's a past scar which was left behind by a pimple. Got the doctor's help to burn it off for me. Day 0 was a Friday. I always go for lasers on friday so that I can use Sat and Sun to hide at home. So... Day 3 I went to school with a red and slightly swollen face. Think the swell was less obvious then already. 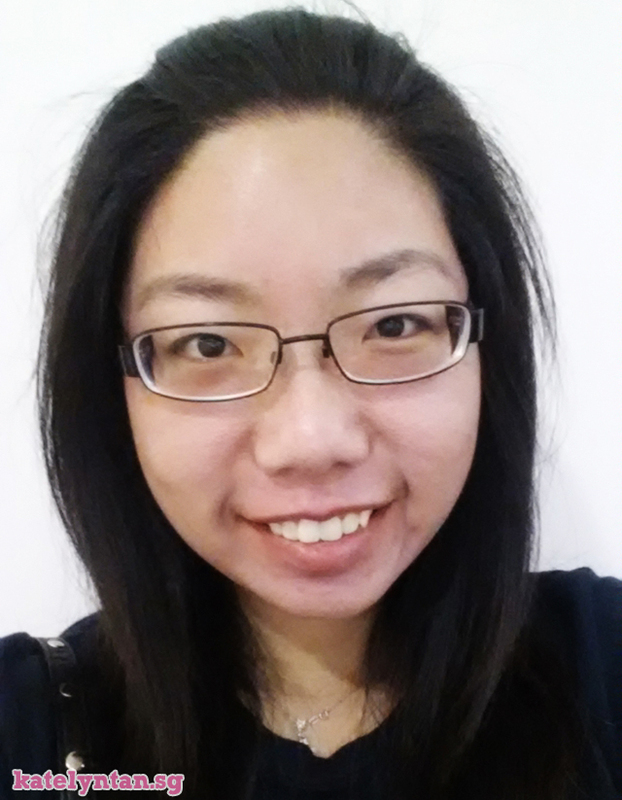 My friend only asked me why my face so red and if I had sunburn hahas. That's all for this really long review. 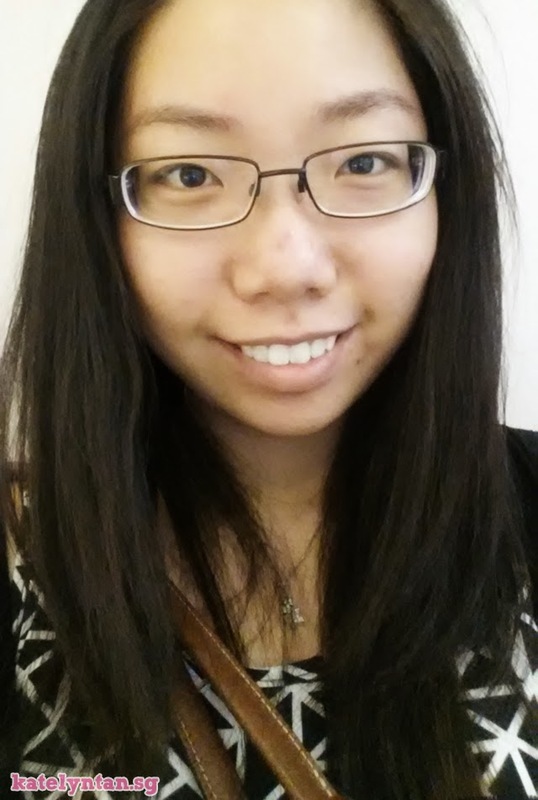 Above is how my skin looked like in November 2013. I had no makeup on but it was taken under low light and my skin looked really smooth (with a few new hyper pigmentation). I think CO2 laser is really useful for those who are looking for a faster treatment but with a longer downtime to achieve smoother skin. 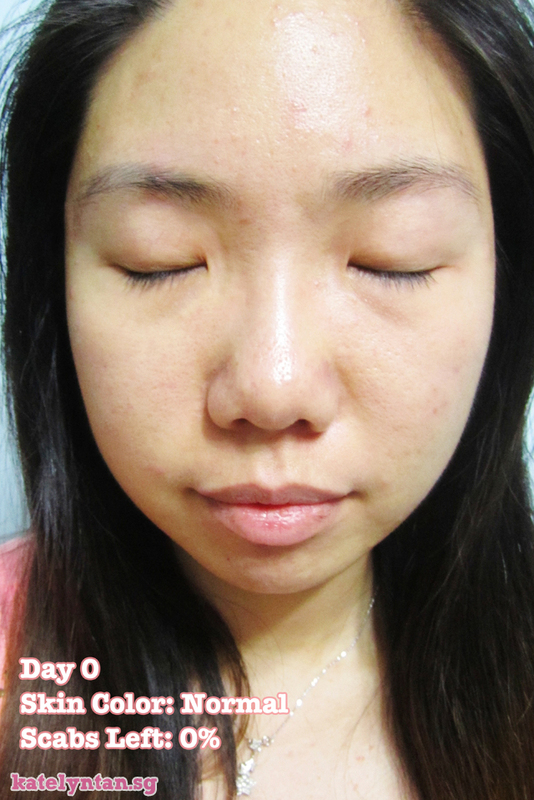 The treatment should help remove hyper-pigmentation, improve skin elasticity and reduce the appearance of pores. Note that pores and pits cannot be removed, they merely appear smoother as the top layer is remove and the pointy end of the pit is closer to the surface. I had goosebumps when I see the white dots ans the scabs!!!! How u survive through those days!! Very detailed and that's true your skin has improved a lot. well done! OMG! Those white scabs looks scary :( I especially loved how you documented it - great review! 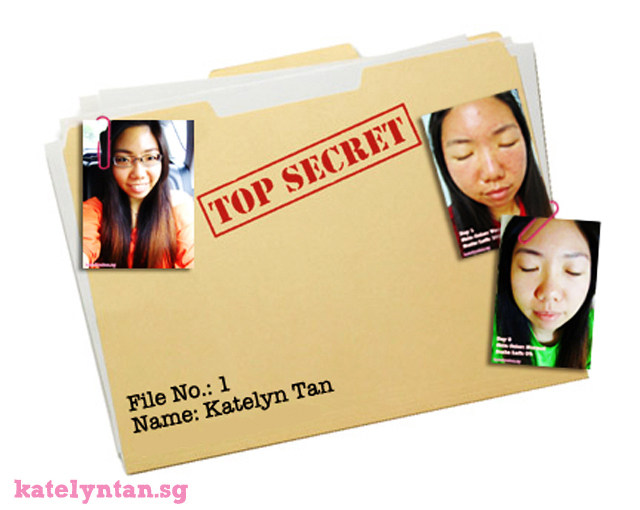 Amazing what a laser treatment can do :) Wonderful result, your skin glows. Wow, I can really see the improvement of your skin. I would be so nervous too! wow! there's so much of improvement! wow, that looks like it really works! once its clear will it be gone forever? Amazing review!. Seems like it works great on you. Although I don´t know how you survive to that!. Great review! This looks like it worked really well for you! that was amazing!! what a wonderful change and so happy they sponsored you! i don't have acne but i know how hard it can be on someones confidence so im super glad you got ur skin back! Very detailed and that's true your skin has improved a lot. Thanks for sharing your experience. Hello. Can I check with you for the waiver of the consultation fee is valid until when? Thank you so much! So I just have to all and quote your name will do? It is valid for all doctor or only dr David? You're welcome :) Yupps just quote my name when making an appointment will do. It's valid for all doctors except Dr S.K Tan. i am super new to your site but i am loving it. you write well and you explain all the pros and cons well. Unlike other bloggers, you dont 'fluff' things up unnecessary and you are honest. I like that. And your skin has improved so much, i am happy for you. Hello :) It actually depends on skin type and skin condition. Hi, I'm really keen on the trial but my threshold for pain is really low. Do you think it will still shows results even the laser setting is not too high? $600 includes the numbing cream and gst? Will the promotion be valid next month? If I decide not to go ahead with the trial after consulting the doc, do I still need to pay for the professional fee? I went for consultation today and did not go ahead with the laser treatment. I was shocked to learn that I need to prep my face for 3 weeks before going for this laser treatment. Also it is a must to buy their whitening/lightening cream. I'm not willing to buy the lightening cream which contains Vit A that I'm allergic to. I was then recommended to buy another lightening cream which contains hydroquinone. Of course, I refused too. I was asking doc if I could just go ahead with today's treatment since I've taken the whole week off. He gave in and said that he will go with the lower setting which I am fine with. I proceeded to a room and the nurse was explaining the products to me again. In the end, I decided not to buy any products and because I did not buy their lightening cream, I was not allowed to go for the laser treatment. How arrogant! Hi, I'm sorry to hear that. I guess they wanted you to use the products to prep your face for laser and also to protect and improve the skin after laser. Patients who choose otherwise may not get maximum efficacy from the treatment and they won't want you to waste your money too. I think every clinic has their protocol for different treatments? Usually they won't be pushy with their products at all. ^^Hi, dear Katelyn. Thank u for ur great review. And I am planning to do co2 laser also. But I really worry about it. Because skin will be very sensitive and fragile, and they said skin will become dry also after treatment. A lot products from market u can't use them, only can use products from Doc. And would u mind I ask u does there any side effects after u do treatment? I think it is very important to find a doctor who can be trusted. They need to be experienced so they know whether your skin is suitable and what settings to use. 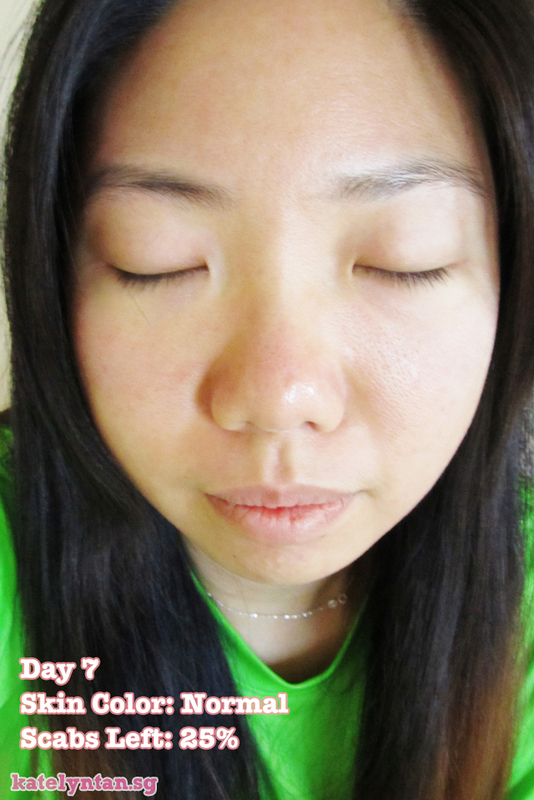 After my laser treatment, I was advised to only use sunblock and a lotion, nothing else so as not to irritate my skin. Also, please avoid sun exposure too! I didn't notice any side effects though. ^^Hi, Katelyn! Thank u so much! It is really helpful! Hi =) can i please find out if you had any acne scars and if the laser helped with that? Hi, yes, I had acne scars, both hyperpigmentation and bumps. The laser helped to smoothen and lighten the scars. I will most likely be starting another round of pico laser treatments (newer technology) at IDS Aesthetics.